Voyten Electric repots General Electric Magneblast bottles and Westinghouse DH bottles to prevent leakage of the bus insulation into the electrical switchgear. By repotting the bottles, any cracks will properly be repaired. Voyten offers a one year warranty for repotting bottles and other electrical repair services. Voyten has the capabilities to fabricate many electrical parts from the ground up for various applications. Voyten Electric has a full fabrication shop that includes a press break, shear, various punches, a iron worker and welding capabilities. Voyten can fabricate and machine small parts as well. Voyten also has the ability to cut copper, steel, and insulating material with a water jet and laser cutter. 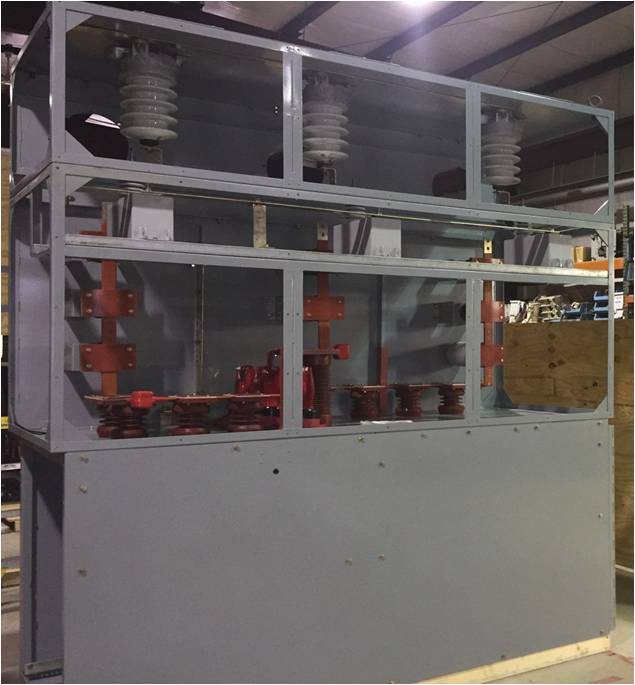 Voyten Electric offers custom electrical equipment remanufacturing to ensure the highest quality electrical product. If you let us know your requirements, we’ll work with you to provide the best electrical solution. Voyten Electric has many years of experience which allows us to know which major suppliers provide the best OEM components. Our customized electrical equipment remanufacting solutions can optimize performance and minimize costs. Voyten Electric offers test equipment and electrical equipment rentals. Test equipment and electrical equipment rentals start out with a minimum of one week. Equipment is shipped via next day air for both outgoing and incoming, and is paid by the renter. The test electrical equipment must be insured for the value of the test unit. (Insurance dollar amount provided by Voyten.) We have a vast inventory of equipment that is available for rent. Most of our reconditioned or remanufactured electrical equipment can be rented for short or extended periods of time. Rental periods start the day the equipment is shipped. Equipment is required to be returned in like condition, shipping prepaid. Get in touch with Voyten to learn more about the specialty electrical engineering services we offer.